1. Pulling your eyelids taut. A lot of women tend to pull their eyelids taut when trying to apply eyeliner, because it can, in theory, give you a straighter line. But what those women don’t realize is that, by pulling at such delicate skin, you’re opening yourself up to premature wrinkles. I’m not saying you’ll look like you’re 80 before your thirtieth birthday, but I can tell you from personal experience that the tiny wrinkles make applying makeup needlessly difficult. So no pulling! 2. Not taking off your eye makeup at night. Think about it: you wouldn’t want to go to sleep with your face covered in dirt, right? Of course not, so why would you sleep in your makeup? I’m as guilty of doing this every so often as much as the next girl, but it leaves you with dry, blotchy skin, and can even dry out your eyelashes. Don’t risk your young-looking skin just to save 30 seconds of your bedtime routine. It’s not worth it at all. 3. Overdoing it. You know how you look at an actress on the red carpet and immediately start arguing with your friends about how old she is, and you end up finding out that she’s, like, 17 or something? It all has to do with the amount of makeup she has on. We all know that you can seriously go wrong with too much contouring, but a lot of women don’t know that overdoing it on black eyeliner or eyeshadow is actually a huge no-no if you want to look your age. 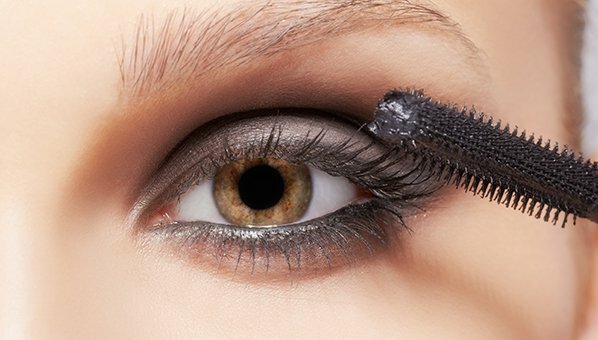 Instead, use a gray or brown liner–the muted colors are much softer on the eyes. Or, if you insist on black, keep it to the top eyelid only.